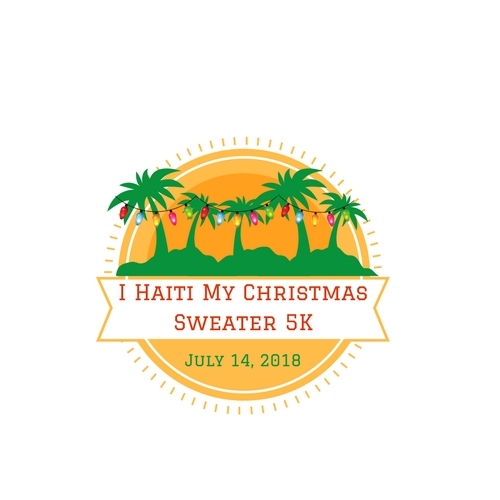 Welcome to the 5th Annual I Haiti My Christmas Sweater 5K Run. This fun 5K is located at Travis Price Park on its beautiful, FLAT greenway. Race course begins at the pond right inside park and goes to turnaround at Legion Field and back. All money goes to support the Emmanuel and Lundy orphanges in Jeremie, Haiti. We will have information race day on future trips to visit the orphans. Each runner receives a bib complete with an orphans name to "run for". At each mile marker you will be greeted with pictures of these precious faces. Early packet pickup race day 9-11. Registration day of race 5:30 p.m.
Race is chip timed (A Matter of Timing) night run with a fun run for children at 6 p.m. follows by 5K at 6:30. Course is beautiful flat greenway. Costumes are encouraged. Prizes to top 3! Award for largest team and team that raises the most donations. Parking is free at park.